The heraldic lion used in the Royal Standard of Scotland is said to represent the strength of Scots and their fighting prowess in battle. 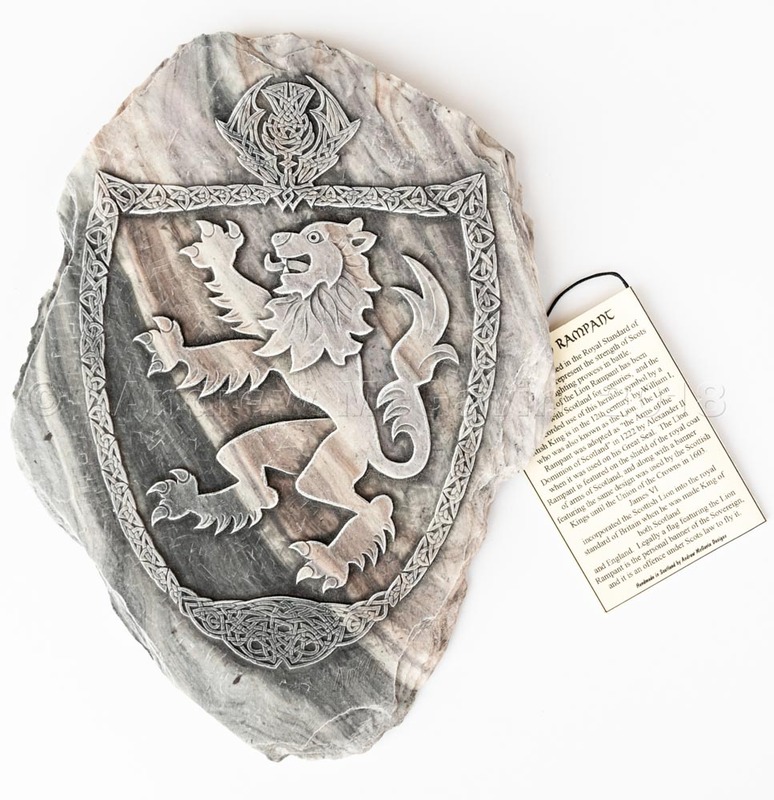 The symbol of the Lion Rampant has been associated with Scotland for centuries, and was adopted as "the Arms of the Dominion of Scotland" in 1222 by Alexander II when it was used on his Great Seal. The Lion Rampant is featured on the shield of the royal coat of arms of Scotland, was used by the Scottish Kings until the Union of the Crowns in 1603. Due to the way they are made, each plaque is uniquely coloured. Each comes strung ready to hang, with descriptive notes describing the original stone.